As part of the Surbiton Raceway arena the venue now has a dedicated kart track for 4 year-olds. The circuit runs low-speed battery-powered karts for small groups and individuals from £25.00/driver. Surbiton Raceway is two minutes drive from the Tolworth roundabout near Kingston-on-Thames. 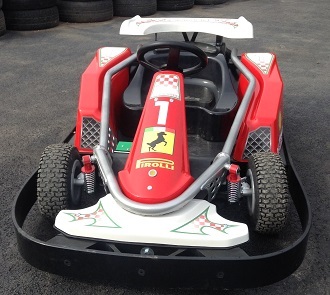 One hour's exclusive use of the Bambino circuit with four karts - party room included.